Great news: You no longer have to be the scion of an autocratic Central Asian head of government to see Kanye West live! For the first time in five years, Kanye will go beyond one-off corporate events and festival gigs and play an actual, real-deal, solo tour. The stage is called a traverse … It’s something that we designed together. Instead of being on just one end of the arena, the stage traverses the entire arena. It’s not really in-the-round; it’s more of a runway … [It extends] from one end to the other so the audience can see everywhere from 360, but it’s like a rectangular runway shape. We’re on each end of the stage, and I want to get to where Kanye is, which is “the fame” … He wants to get where I am, which is home and humble beginnings. For the whole show, we are battling each other [for their positions]. It’s been a really incredible creative experience. And then the Taylor Swift thing happened, and then the tour went up in flames. Anyway: redemption time! 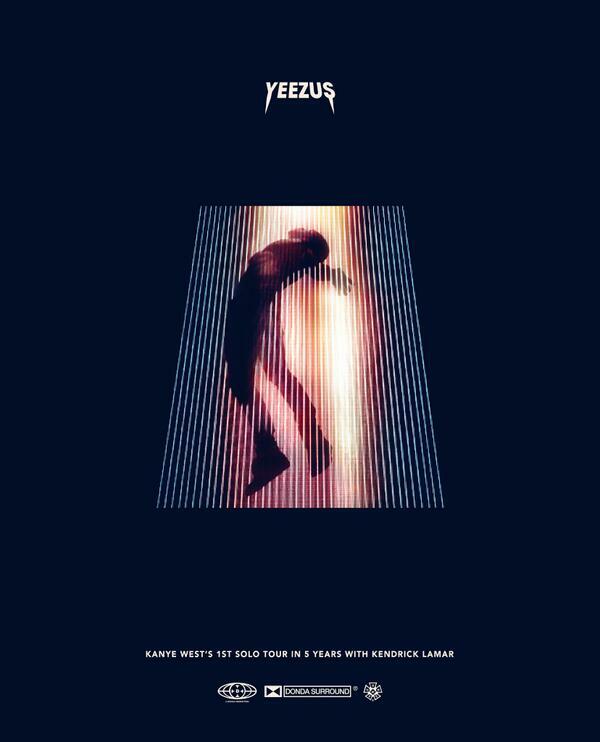 With the Yeezus Tour, Kanye will do 23 dates across North America, kicking off in Seattle on October 19 and wrapping up in Houston on December 7. Kendrick Lamar is the supporting act on all but five of the dates, and tickets go on sale September 13. It would behoove you to purchase some.